RenovAID is a program by Mediacorp that help needy family Renew, Rebuild and Revitalise their home. The fifth season of the RenovAID Program is hosted by Rosalyn Lee. Though no affiliation to the RenovAID program, Kelvin Tan, our Sales Manager, is honored to be invited and share his Interior Design Ideas, to help 4 out of the 7 selected families of the RenovAID Program Renew, Rebuild and Revitalise their home. For those who missed the airing of the RenovAID Season in August to September 2014, RenovaID Team offer the link for you to watch how RenovAID Program by MediaCorp improved the lives of these families. Additionally, Kelvin Tan, who is featured in the RenovAID Program will share some behind the scene snippets and how he managed to complete the Renovation and changed the lives of these families within 10 working days. He will also share on what difficulties he faced during this program. Love enable you to give up everything. Despite being diagnosed with a brain tumour, Mdm Tan is reluctant to seek treatment as she needs to look after her wheelchair-bound husband. How can RenovAID improve wheelchair access and make their home more elder friendly for the couple? Letting it go seems to be the hardest thing to do. The clutter in their home has caused tension to rise between Mdm Tan and her husband, and she is desperate for RenovAID to help clear it out. However, when the volunteers start the ball rolling, she seems incapable of letting go. She has such a strong character. With Mdm Saripah's Husband in Rehabilitation Centre for Drug Consumption, making her the sole bread-winner of the family. She had always hoped to rent out a room in her run-down flat for additional income. Despite her DIY effort to make the house homely hence attracting tenant. However, the lack of furniture and security turn prospective tenants away, making money to meet end needs a constant worry. She never give up till MediaCorp steps in to help. Things do happens and Miracle does appear. 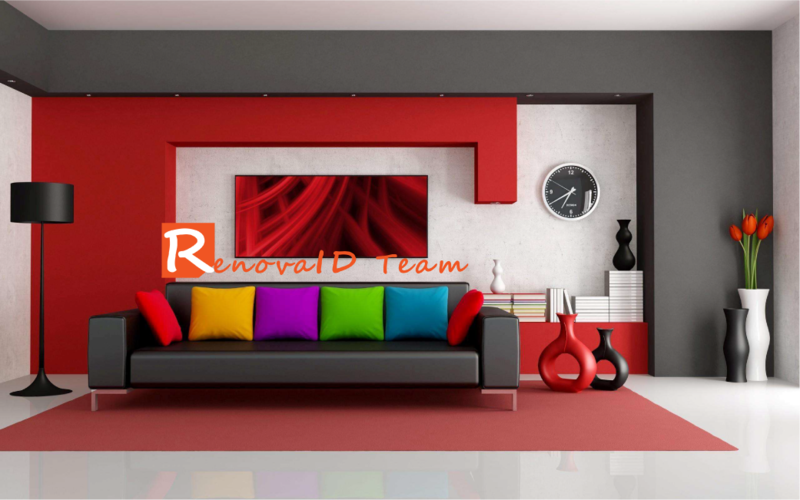 Planning a home-improvement from a run-down flat to rent-ready is the top priority of RenovAID’s concerns. Miracle happened within 10 days and change the lives of Mdm Saripah's Family. Thing happens from Bare and spartan, her dilapidated old flat holds little attraction for prospective tenants. How will RenovAID patch up and spruce up her home?